On May 1, Leslie Nicoll assumed the editorship the Nurse Author & Editor Newsletter. She succeeds Marilyn Oermann who was editor for 2 years, and who resigned to become Editor of Nurse Educator. Leslie is current editor-in-chief of Computers Informatics Nursing, a position she has held since 1995. She was also editor-in-chief of the Journal of Hospice and Palliative Nursing form 2001-2010. 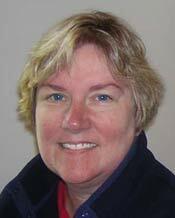 Leslie is chair of this year’s planning committee for the 2014 INANE conference, and co-manages the INANE web site. In 2001, Leslie founded her company, Maine Desk LLC, providing professional editorial services for both novice and experienced authors in nursing, medicine and other health-related fields. In addition to her editorial, writing and consulting work, she serves as the coordinator for the Portland Community Free Clinic where she began as a volunteer in 2001. Leslie plans to work closely with the Editorial Board over the course of the coming year to look strategically at the newsletter and determining future directions. There is a burgeoning interest in research on editing and publishing and they will consider this carefully to plan the evolution of the newsletter. Congratulations, Leslie! Nurse Author & Editor provides an important service for the nursing publishing enterprise, and we appreciate your leadership in this new role! This entry was posted in Announcements and tagged Maine Desk LLC, Nurse Author & Editor, Portland Community Free Clinic by peggychinn. Bookmark the permalink. Dear Leslie! Congratulations on your newest role!